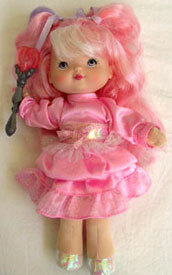 "Hug me and I light up with love!" 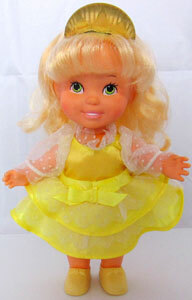 PJ Sparkles was produced by Mattel in 1988-1991. 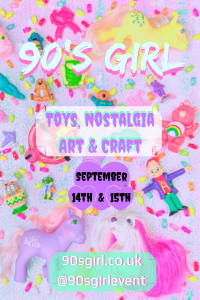 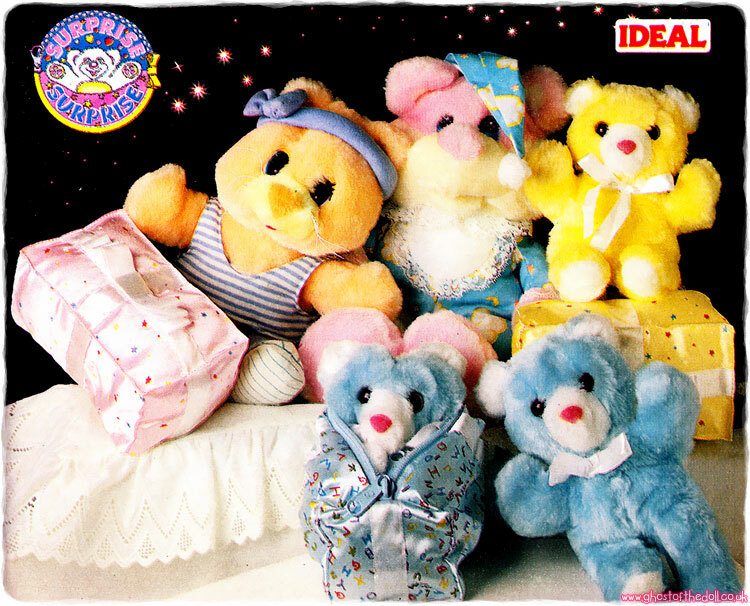 They were a series of large dolls with glowing accessories plus animal friends and an animated video. 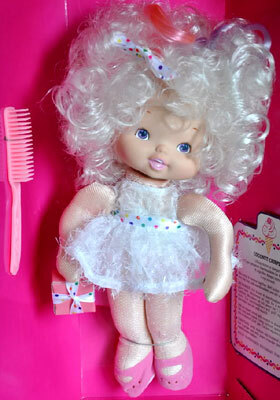 There were lots of other dolls produced around this time which bore a striking resemblance to one another, and are easy to misidentify at first glance. 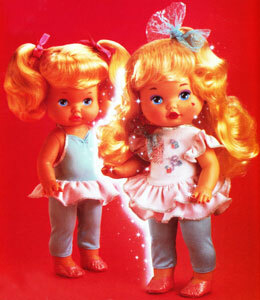 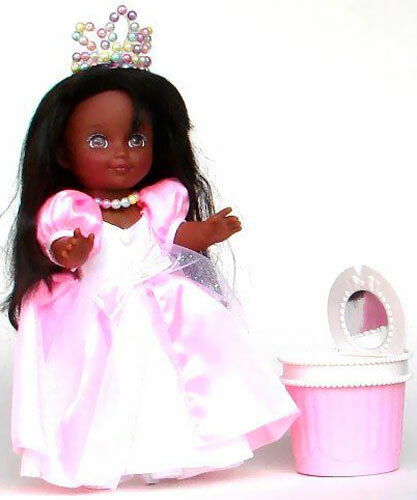 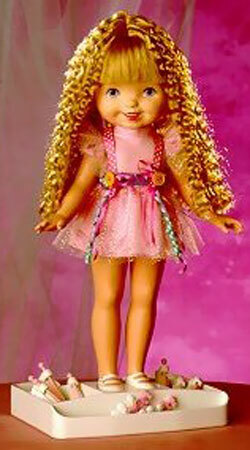 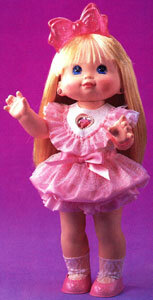 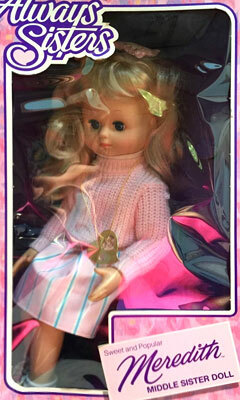 PJ Sparkles was reissued in 2009 by Zizzle with one large doll and several small playsets with mini light-up dolls. 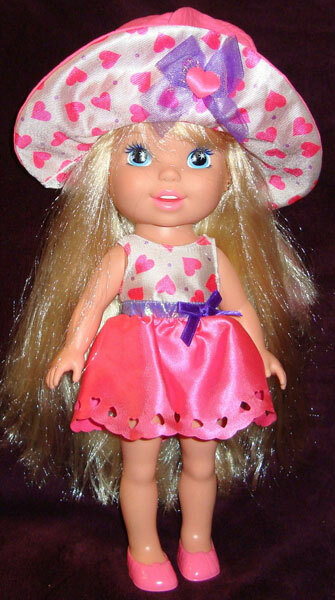 View all PJ Sparkles on eBay.com or eBay.co.uk !